Last night, I took my first dive into the Toronto Fringe Festival, and I don’t think I could have picked a more suitable, or enjoyable show to do it with. 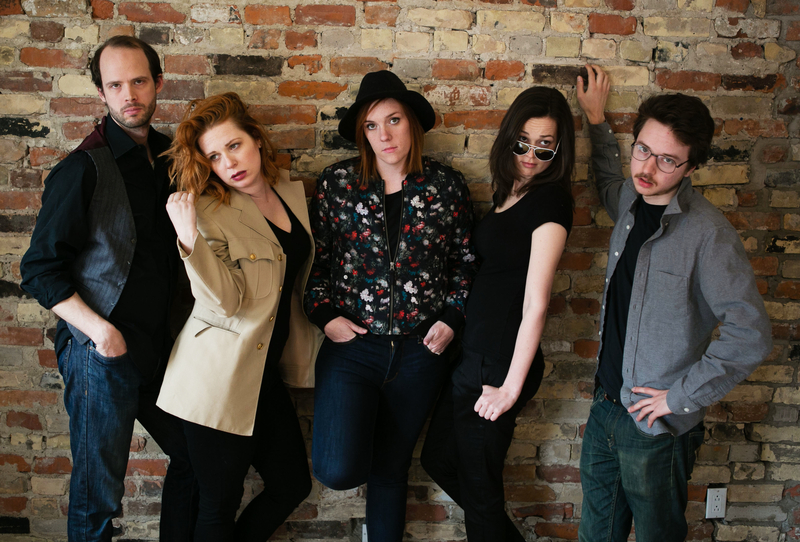 The comedy troupe Fame Judy Dench, composed of Claire Farmer, Jessica Greco, Shannon Lahaie, Chris Leveille and Gavin Pounds filled the stage of the Helen Gardiner Phelan Playhouse with absurd characters, bizarre moments, and lots of laughter in their 50 minute sketch show. The audience reacted appropriately as the rapid-fire sketches, that were fun, goofy, and filled with sharp-writing, flew from a wonderful take on Scooby-Doo, to mothers, to zombie obsessions, to police mimes, to pizza, to a suggestive music instrument, to dating problems running the gambit of polyamorous to magicians. The sketches were rapid-fire, and while there were a couple of moments that may not have worked well as intended, the enthusiasm, the characters, the beats easily gloss over any possibly perceived shortcomings to make for some truly solid, and belly-busting laughs. From its self-referential opening, to the callback at the very end, the audience was in the palm of their hand, and they owned the stage, each of the performers getting their fair share of the limelight, and eliciting guffaws, applause, and hysterical hoots from their audience. To pick out single moments for each of them, would be to give away some of great comedic moments, that are far better witnessed than in the retelling, and as I sat there in the dark of the audience, sharing in the communal experience of laughing and applauding to those performers on the stage, I knew I wanted more. Dame Judy Dench, the members of this troupe, now have a new fan. This, for me, was a great way to start the festival, and being able to support my friend Jessica was just an added bonus! If you’re unsure of where to start, the schedule can be a little daunting, with over 150 different shows to see, check out Dame Judy Dench to ease you into it, I guarantee you’ll laugh! You can see this show on Sunday July 5, Monday July 6, Wednesday July 8, Friday July 10, Saturday July 11 and Sunday July 12. Check out the full schedule and ticket availability here.